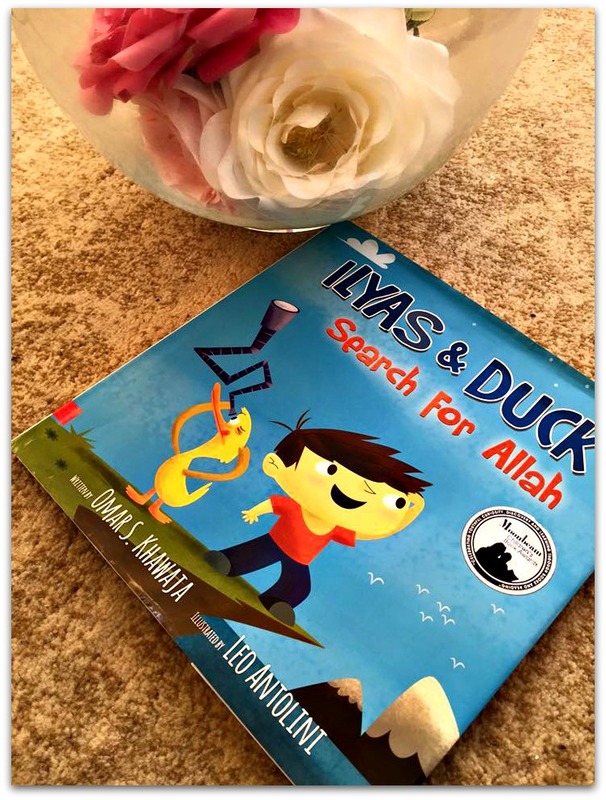 ‘In this adorable story, likeable Ilyas pairs up with Duck to ask the question over and over in different scenarios. Through whimsical and poetic replies, Ilyas’s curiosity is slowly fulfilled with profound realisations’. One of the questions that all Muslim parents will be asked is ‘Where is Allah’. And this is the question that Ilyas one day asks. With the help of his loveable companion Duck, they come up with ideas of where to look for Allah. Suggestions include being in the ocean, a rainforest and outer space. The book makes a lovely bedtime story. The various animals can also be discussed as the final pages contain some facts about each one. That helps as even I didn’t know what a Hoopoe was! 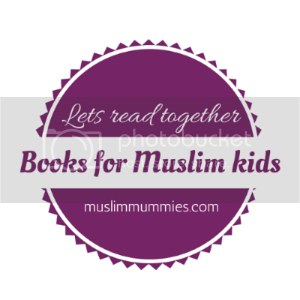 The illustrations are colourful and will capture your child’s imagination. 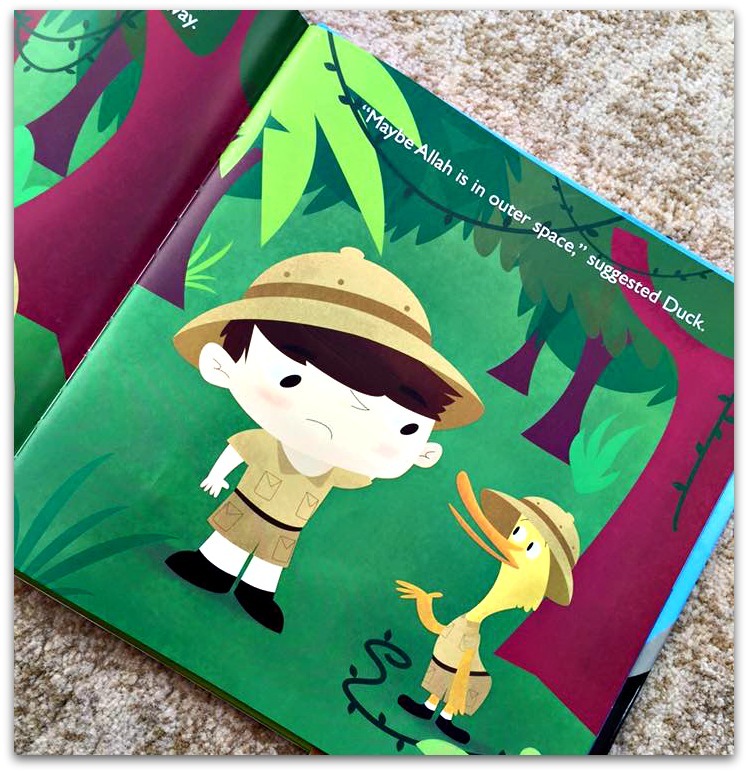 All the different places Ilyas and Duck visit will peak your childs curiosity; Bee was asking about the jungle and ocean, asking about fish in the ocean. The script itself uses simple language so is perfect for Bee and makes it easier for her to follow and understand when the story is read to her. Even Muchkin at 9 years old enjoyed having a quick read of it. Verily in the heavens and the eath, are Signs for those who believe. And in the creation of yoursleves and the fact that animals are scattered (through the earth), are Signs for those of assured faith. was thinking to get this book for my brother. Alhamdulillah, great review. A fab story line with many lessons on tawheed. Most kids will be fascinated. This book’s not available where I live but I saw it on Amazon and was very tempted to buy it. After this review I think I’ll head on over and order one. Looks like a very good book, will definitely search for this one next ! Seems a good read for all.